In 2015 the LORD instructed me to help His people in the coming economic downturn. This podcast teaching will share direct guaranteed investment in God's Work … while at the same time recommend KEY areas of employment and education to pray about. Plus, KEY sectors of employment that will be safer in the future. All of the educational and employment recommendations are contingent upon YOU not having direction from the LORD in other areas. Also, I am going to provide YOU with information to create YOUR future … and impact the world (which is your REAL occupation). Hang on! The ride gets bumpy … but exciting! one hundred times what he planted. And the LORD blessed him. Somebody reading this message needs to "Go dig another well." The time is NOW ... it is time to DIG. In football, if the quarterback cannot see the receiver in sight, he can NOT deliver the pass. Are YOU WHERE G-d can deliver the goods to you? That is, are you WHERE G-d can bless you. Can He see you in position to receive those MIRACLES ... real miracles ... He wants to give you. Remember, Rabbi Yeshua taught: "Signs FOLLOW them that believe." You have to be GOING ... moving ... for the signs to follow you. Isaac became so prosperous that his enemies became jealous of him. They had stopped up all the wells which his father, Abraham, had dug. He had his servants dig again the wells that were stopped up ... plus dig two more which became springing wells. His enemies claimed these wells and argued over them. Finally, he dug a third well over which there was NO contention ... and he finally had rest: rest from his enemies ... and rest to enjoy the LORD. When your wells are stopped, do NOT go down to Egypt for help. It's time to dig another well. You need to position yourself for BLESSING and ANOINTING. It's time to fast, pray, read the Bible, and give to the work of the LORD in whatever way He shows you. Yeshua's mother told the talmidim: "Whatever He says, do it!" That's the message for YOU: "Whatever He says to you ... do it." Then the MIRACLES will happen. Get into position to LISTEN for direction ... and then get into position to RECEIVE. It's TIME for YOU to go dig another well! Because hard times are coming upon the earth. Right now we are in the “calm before the storm.” The next economic downturn will be worse than 2008. The LORD instructed me in 2015 to start preparing His people for hard times … and to help them know what to do. Years ago―before the LORD saved me―I was a “headhunter” for one of the largest engneering and technical employment agencies in the world. I noticed then―and the same is true now―that there are not just cyclical trends in employment, but also NEW, promising, trends. 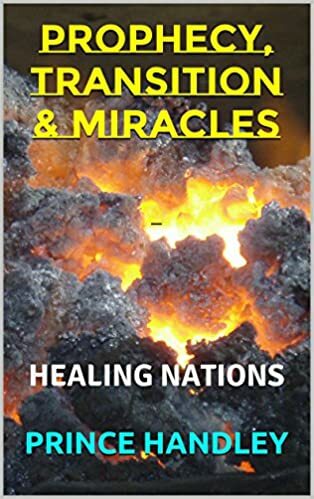 After I became a Christian, I learned to take advantage―and made LOTS of money―taking advantage of “the next great thing coming up the pike” because God revealed to me from revelation knowledge certain “sectors” of the economy and employment that were going to be very lucrative. Let me wander a bit here. I remember years ago I was interviewing two clients at the same time from Brasil. They were speaking Portuguese. I spoke to them in tongues. Everybody in the office around me thought I was speaking Portuguese; however, I was just letting the Holy Spirit speak through me and minister to them. Costing just pennies to produce, the innovative book both teaches water hygiene (i.e. keeping trash and feces away from water sources) and serves as a filter that kills deadly bacteria. The book functions much like a scientific coffee filter. When water passes through it, more than 99 percent of the harmful bacteria are killed, making it comparable to the tap water in the U.S.
Each filter can provide up to 30 days worth of clean drinking water, and one book can offer up potable water for up to four years. From the outside, "The Drinkable Book" looks like a normal book. It's about an inch or two thick, with 20 pages. But these pages do a lot more than convey information. Each page also serves as a water filter, a valuable tool for preventing waterborne illness in the developing world. LifeStraw® is the most advanced, compact, ultralight personal water filter available. LifeStraw contains no chemicals or iodinated resin, no batteries and no moving parts to break or wear out. It features a high flow rate and weighs only 2oz. LifeStraw is perfect for the ultralight backpacker, traveler, boy scout, hunter, and especially for emergency preparedness. LifeStraw filters to 0.2 microns through the use of hollow-fiber membranes, which are small tubes with even smaller pores. These pores allow water to pass, but prevent contaminants larger than 0.2 microns from flowing through. As you get closer to 264 gallons (1,000 liters), the pores will eventually become clogged with debris and the flow will stop. LifeStraw® is the water filter chosen by leading NGOs for humanitarian relief worldwide since launch in 2005. LifeStraws have been sent to Africa, Pakistan, Haiti, and South America for disaster aid, and a portion of domestic sales support this donation program. LifeStraw has only been available in North America since 2011, when excess inventory has allowed it. It filters a maximum of 1000 litres of water, enough for one person for one year. Time of droughts can have significant environmental, agricultural, health, economic and social consequences. The effect varies according to vulnerability. For example, subsistence farmers are more likely to migrate during drought because they do not have alternative food sources. Areas with populations that depend on water sources as a major food source are more vulnerable to famine. Drought can also reduce water quality, because lower water flows reduce dilution of pollutants and increase contamination of remaining water sources. The California drought is an emergency condition that comes from a change in incoming rain and snowfall patterns. It’s not clear how long it will last and it’s important to make sure that citizens and businesses benefit from the relief effort. However, the emegency response was needed so urgently because the underlying system is reliant on aging infrastructure and outdated technology. Like strengthening the immune system, if systemic problems are addressed, future emergencies will be weathered better. The water problem is worldwide and water shortages are often cited as one of the most pressing environmental issues facing the earth. Every hour the sun beams onto Earth more than enough energy to satisfy global energy needs for an entire year. Solar energy is the technology used to harness the sun's energy and make it usable. Today, the technology produces less than one tenth of one percent of global energy demand. Many people are familiar with so-called photo-voltaic cells, or solar panels, found on things like spacecraft, rooftops, and handheld calculators. The cells are made of semiconductor materials like those found in computer chips. When sunlight hits the cells, it knocks electrons loose from their atoms. As the electrons flow through the cell, they generate electricity. Air flow through wind turbines or sails can produce significant mechanical power. Windmills are used for their mechanical power, wind-pumps for water pumping, and sails to propel ships, but the most frequent current use is to turn a generator for electrical power. Wind power, as an alternative to burning fossil fuels, is plentiful, renewable, widely distributed, clean, produces no greenhouse gas emissions during operation, and uses little land. The net effects on the environment are far less problematic than those of nonrenewable power sources. A hydroelectric dam captures energy from the movement of a river. Dam operators control the flow of water and the amount of electricity produced. Dams create reservoirs (large bodies of calm water) behind them, which can be used for recreation, wildlife sanctuaries, and sources of drinking water. Wave power captures energy from waves on the surface of the ocean using a special buoy or other floating device. Tidal power captures the energy of flowing waters with the help of turbines as tides rush in and out of coastal areas. Flowing water turns a water wheel or turbine. A generator attached to the turbine produces electricity. Land energy and biomass is a potential and practical resource for achieving objectives of energy consumption from renewables now and in the future from wood pellets, wood chips, energy crops, waste wood and timber. Fossil fuel and renewable energy resources development in other common areas are key areas for continuing research and development, also. Also, try to combine a Minor in Marketing. (Your major will already include the necessary business courses. Shoot for a Bachelor of Science and next a Master of Science. Or, if just starting, get an Associates Degree (2 year) course to get into the field. Solar energy: sales, management or Research and Development. Wind and water energy: same as above. CHECK THIS OUT: There are several companies that offer training AND many companies have cooperative programs with local colleges while working. A good place, also, for young people just starting in the labor market. NOTICE: All of the above recommendations are only IF God is NOT leading you in some other direction for education or employment. Remember, what Prince Handley mentioned in the BOOLEAN BLOG 2012 about the three (3) safest areas of employment for the future. SUGGESTION #3. Develop your ministry. This is your REAL occupation! I have listed some resources below to help you create your own future while―at the same time―impacting the world. One KEY area of miinistry in the End Times (the entrance of which we are in NOW … is the ministry of E-PROPHET. In the future, churches, synagogues and house (cell) groups will be the target of governments. Start making disciples NOW … and watch the LORD prosper YOU. Here are FREE Bible Study Resources. Also, there are some links below for more resources. But, let the LORD lead you. You should do well in the ENERGY and WATER fields without working in Healthcare, Government or Education sectors. And, remember your greatest investment is in God's Work! That's your guarantee for NOW and the FUTURE! Help us reach the world with the Good News. Partner in our UNIQUE EXPLOITS in the POWER of the Holy Spirit. Hit the SECURE DONATE button. 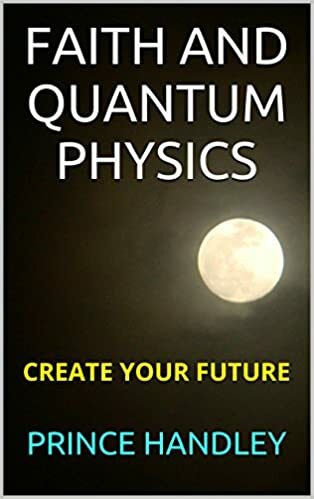 I also recommend the following books to help you KNOW WHAT else is coming up the pike plus HOW to create your future … and … HOW to impact the world (your REAL profession).